Rye Town Council meets next Monday, April 1, at 6:30pm in the Town Hall for probably its last meeting before the council elections (town and Rother District Council) on May 2, not knowing whether or not there may be a local referendum as well. The meeting usually starts with reports from East Sussex County Councillor Keith Glazier, who is also ESCC leader, and Lord Ampthill, who is stepping down as one of the two Rother District Councillors. Then council then approves the record of its last meeting and of its Planning Committee, which meets after the full council meeting and should have two further meetings (on April 15 and 29) before the election (and the possible referendum on Rye’s Neighbourhood Plan). 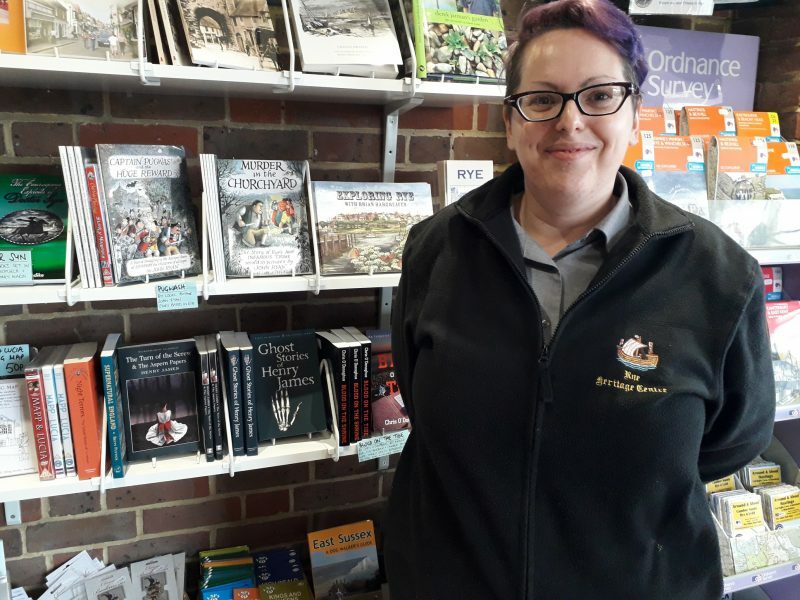 The full council will then get a report on the Heritage Centre on Strand Quay from manager Louisa O’Shaugnessy, which reopened late last month (coinciding with school half term) for the 2019 visitor season. Future editions of Rye News will report on the centre’s activities – and in particular on the renovation of the historic model of the town. The council will then consider its finances before considering a grant application from the Sussex Wildlife Trust for a contribution of £1,000 towards the construction of Rye Harbour Discovery Centre from Alistair Farley, chairman of the project’s Appeal Board. Finally the council will then consider the Rye Neighbourhood Plan which may or may not be voted on in the local referendum on May 2, and receive an update on progress. 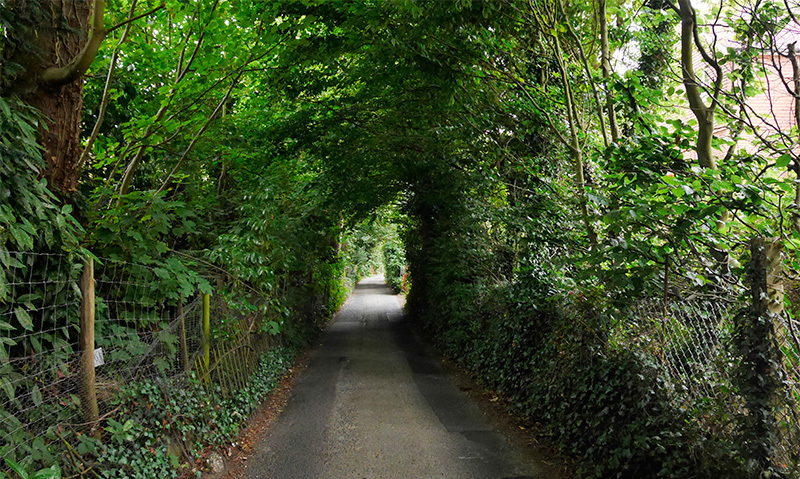 The council, and/or the following Planning Committee, may also discuss the just announced emergency closure of Deadman’s Lane for at least 8 weeks from March 28 to May 8 for gas works as this closure might be an opportunity for ESCC to do something about the lack of a pedestrian path on part of this dangerous road directly behind Lord Ampthill’s home. Anyone planning to stand for election to the town council should contact the Town Clerk (richard.farhall@ryetowncouncil.gov.uk) as soon as possible as the deadline for nominations is imminent. The current town council should make its last public appearance (see top photo) in black gowns, white gloves and tricorn (women) or bicorn (men) hats on St George’s Day Sunday April 28. 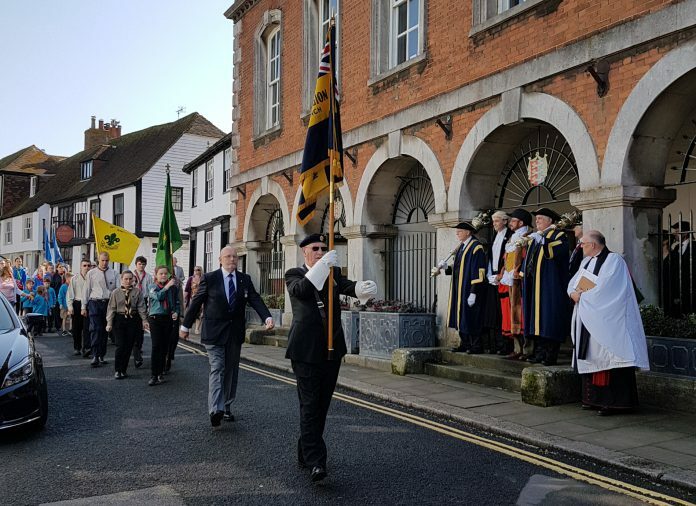 The 10am civic service (wise to arrive early) is preceded by a parade of local organisations and the civic procession to the Norman church of St Mary’s behind the historic 18th century Town Hall in Market Street. I so hope Rother does not decide to develop Gibbetts Marsh in some way as it is the only possible place for a future Park and Ride scheme which hopefully is on the cards to happen one day. The costs of which would be covered by its usage and visitors could then shop or meander in a less fraught atmosphere that is the current High Street.